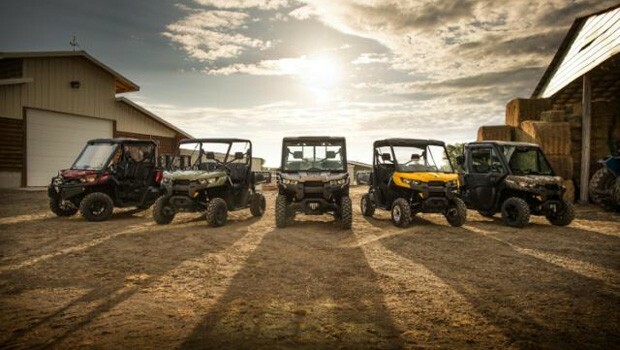 The new Can-Am Defender line of utility-recreational focused side-by-side vehicles meet the demands of land owners, hunters, farmers and ranchers by incorporating Can-Am DNA with unmatched toughness, industry-leading capability and clever adaptability to create the most dependable utility-recreational vehicle in the industry. 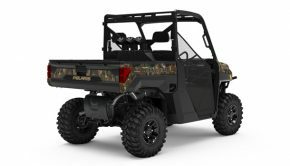 The new Can-Am Defender line of utility-recreational focused side-by-side vehicles are designed to meet the demands of land owners, hunters, farmers and ranchers. 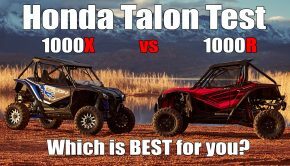 Using proven Rotax engine technology, the two rear-mounted engines — a 72-hp HD10 delivering up to 20% more torque at 4,000 RPM than the top-selling competitor, and a high-torque, 50-hp HD8 — deliver high torque, low noise, and reduced heat and vibration. 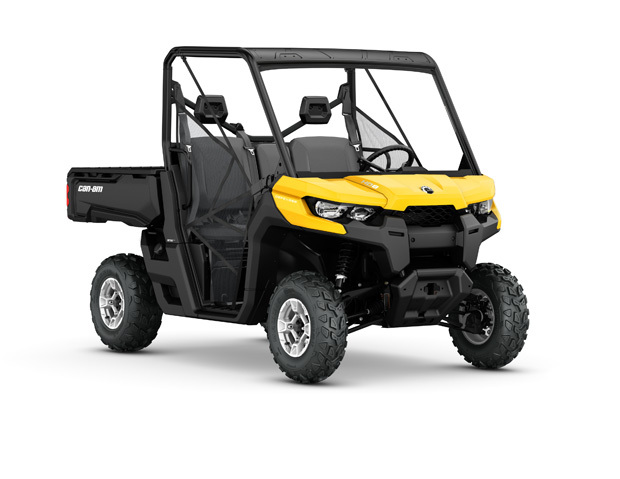 New from the ground up, the Can-Am Defender side-by-side vehicles establish the new standard for the modern utility-recreational off-road 4×4 vehicle by providing consumers with new levels of performance with two heavy-duty Rotax V-twin engine options. 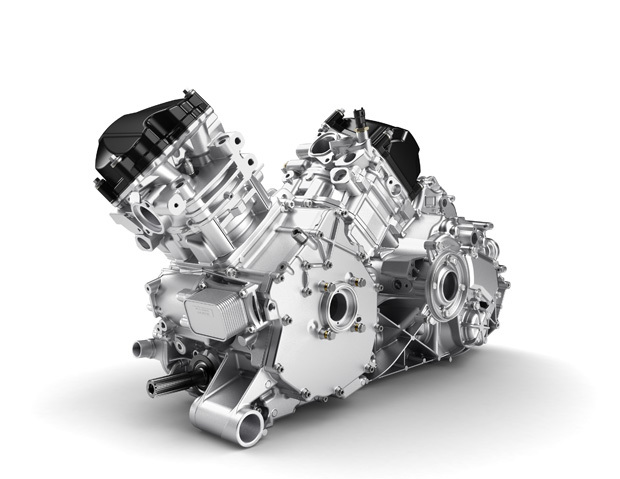 Using proven Rotax engine technology, the two rear-mounted engines — a 72-hp HD10 delivering up to 20% more torque at 4,000 RPM than the top-selling competitor, and a high-torque, 50-hp HD8 — deliver high torque, low noise, and reduced heat and vibration. The robust engines are mated with an all-new PRO-TORQ Transmission with a Quick Response System (QRS), Electronic Belt Protection, optimized ventilation and integrated engine braking to deliver Rotax heavy-duty performance for hard jobs. The new Defender vehicles also offer easy and cost-effective maintenance. A yearly maintenance (or 1,865 miles / 3,000km / 200h) schedule and DIY-friendly makeup means there’s more time for getting work done. 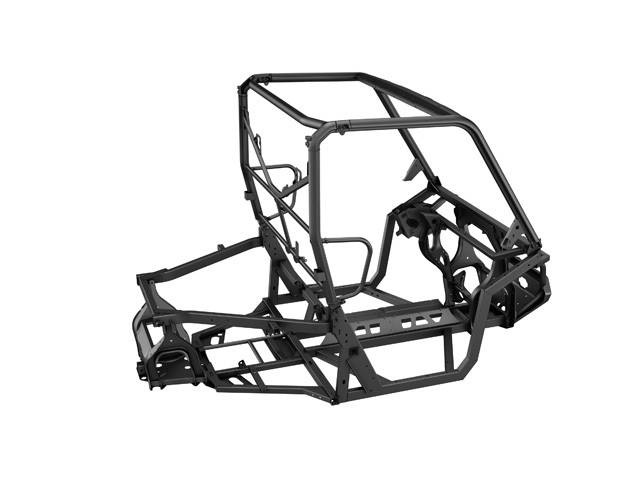 an all-new, high-precision, laser-cut tongue-and-groove chassis with automotive-like chassis technology and fabrication tolerances that are in line with modern pick-up trucks — a powersports industry first. The Defender is extremely capable off-road and a legitimate workhorse that uses an all-new, high-precision, laser-cut tongue-and-groove chassis with automotive-like chassis technology and fabrication tolerances that are in line with modern pick-up trucks — a powersports industry first. The purpose-built chassis feature HSLA (High-Strength, Low Alloy) delivering a rigid design that’s ready to take the strain of heavy-duty chores. 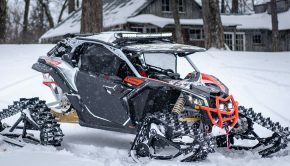 Can-Am engineers put the Defender frame through the new rigorous utility- recreational test cycle at the winter and summer testing grounds to ensure its toughness. Built on Can-Am expertise and adapted to the demanding requirements of the utility-recreational applications, the Defender vehicle’s TTA-HD rear suspension is optimized comfort drivability and durability. The Defender offers performance with control thanks to its true, 4-mode traction system for matching the traction demands to various terrains or tasks. Each Defender vehicle is designed to be the most capable in its class, letting the operator go practically anywhere with confidence. The Defender offers performance with control thanks to its true, 4-mode traction system for matching the traction demands to various terrains or tasks. The Defender side-by-side’s off-road capable design also includes three available rider-selectable engine modes (ECO / Normal / Work), an 11-inch (27.9 cm) ground clearance, a 10-inch (25.4 cm) suspension travel for superb comfort, four 220 mm (8.6 inch) brake discs for exception control and 140W lighting output for enhanced visibility. In addition, the new benchmark of the industry provides exceptional maneuverability thanks to its optimized steering, short turning radius , purpose-built Dynamic Power Steering and strategic weight distribution providing a strong footing. 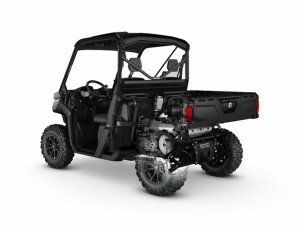 In addition, the new benchmark of the industry provides exceptional maneuverability thanks to its optimized steering, short turning radius (more than 2-foot shorter than the top-selling competitor for a full circle), purpose-built Dynamic Power Steering and strategic weight distribution providing a strong footing. The Defender, complete with a 2-inch (5.08cm) hitch receiver, also offers class leading towing and loading capabilities with a 1,500-pound / 680-kg payload, 2,000-pound / 907-kg towing capacity and the ability to tote another 1,000 pounds / 454 kg (600 pounds /272 kg in California model) in its heavy-duty, highly versatile cargo box. The Defender side-by-side vehicles have a clever, adaptable design, offering meaningful solutions for enhancing ease of use. The industry’s most versatile cargo box offers unique functional features (integrated recesses, anchors and cutouts), a sturdy tailgate allowing for 250-pound (113 kg) capacity and is LinQ accessory compatible. The class-exclusive modular dash system includes a water-resistant Quick-Attach Toolbox, and up to 16 gallon (61 L storage). For advanced versatility, the VERSA-PRO bench seat features three-person 40/20/20 bench seating, inspired by pick-up trucks, unmatched capabilities and adjustability with a flip-up passenger seat, foldable armrest, cargo hooks and waterproof under-seat storage. A roomy and intuitive cockpit with optimized ergonomics and center gauge cluster was purposely designed to accommodate a wide variety of users, seating preferences and driving styles. Along with tilt steering, the A-Pillar was moved forward to increase visibility, sight lines and improve ingress-egress. A profiled bench seat design allows for easier access and a sturdier design. An ergonomically placed grab bar and three footrests supply comfort to all occupants. Owners can also customize the Defender with various cabin options that neatly fit on the profiled cage. 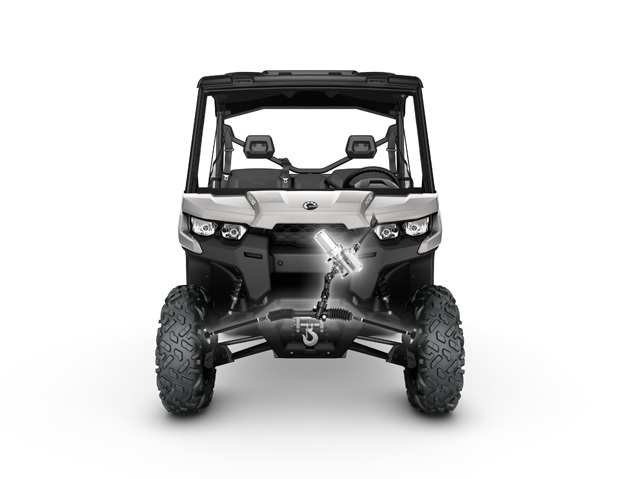 Choose from models with factory-installed equipment or adapt the Defender to specific applications with genuine Can-Am accessories. The Defender side-by-side family offers a bevy of choices to protect occupants from the elements (doors, windshield, roof, windows), protect the unit (bumpers, fender flares) and add further versatility with other clever accessories for work (Bed Wall Extender, electric bed tilt, Headache Rack, track system), hunting (Gear Rail, Gun Boot), and recreation (LinQ Adaptor, winches). 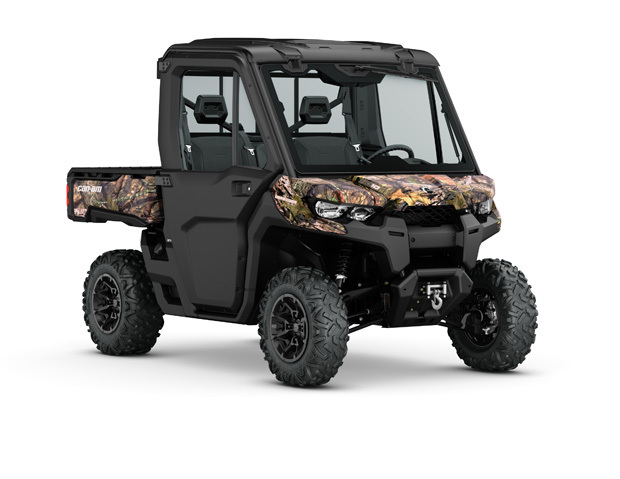 The new Can-Am Defender is offered in four different packages (Standard, DPS, XT and XT Cab), and comes with a choice of color-in or painted plastics and the exclusive Mossy Oak Break-Up Country Camo. The Can-Am Commander MAX family now includes a new Commander MAX DPS 800R. 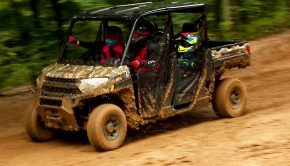 The first Can-Am four-seat 800cc offering gives families affordable access to multiple-passenger recreational-utility riding and the dependable versatility for which the brand is known. 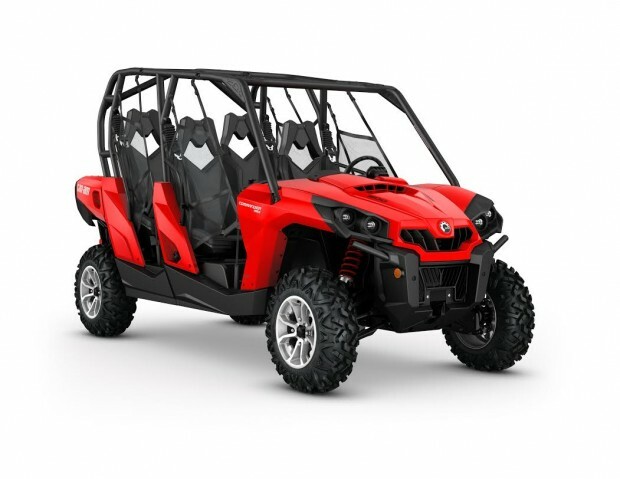 Along with its attractive Viper Red plastic and cast-aluminum wheels, the unit includes Tri-Mode Dynamic Power Steering, Visco-Lok QE and a revised CVT with improved access and Electronic Belt Protection.